KUA owns, operates and manages the municipal electric system established by the City of Kissimmee in 1901. Compared to the other municipally-owned electric utilities, KUA is the sixth largest utility in Florida. 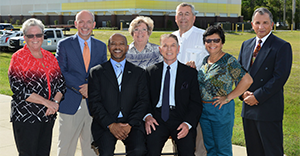 KUA’s 300 employees serve approximately 76,000 customers in Kissimmee and surrounding areas. Mission Statement: To provide reliable and economical services to our customers while partnering with the community and the environment. Vision Statement: To be the right utility, providing the right services, at the right time. 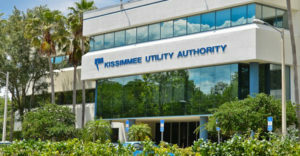 The Kissimmee Utility Authority’s board of directors sets policy direction for the utility. Specifically, the board approves the annual budget, sets rates and approves major purchases. The KUA board of directors holds regular business meetings on the first Wednesday of each month at 3:30 p.m. The agenda, meeting minutes and public notices can be found here. The executive staff has daily interaction with personnel from other electrical utilities and public power organizations, employees, and customers, ensuring that the direction KUA takes is based on the needs of the community. KUA has been proudly serving our customers since 1901. Click here to find years of annual reports, press releases, bidding instructions, and corporate information such as our facility connection requirements and our exemplary ethics. The Customer Service Center at the Kissimmee Utility Authority, 1701 W. Carroll Street, Kissimmee, Florida 34741 is available Monday-Friday from 7:00 a.m. till 6:00 p.m., excluding holidays. Walk-in lobby hours are weekdays from 7 a.m. – 6 p.m. Emergency support is available 24-hours a day. KUA – the right utility, providing the right services, at the right time. Bill payment, new account set-up or changes, service area questions, commercial service requirements, home energy audits, refuse…we can help you here.